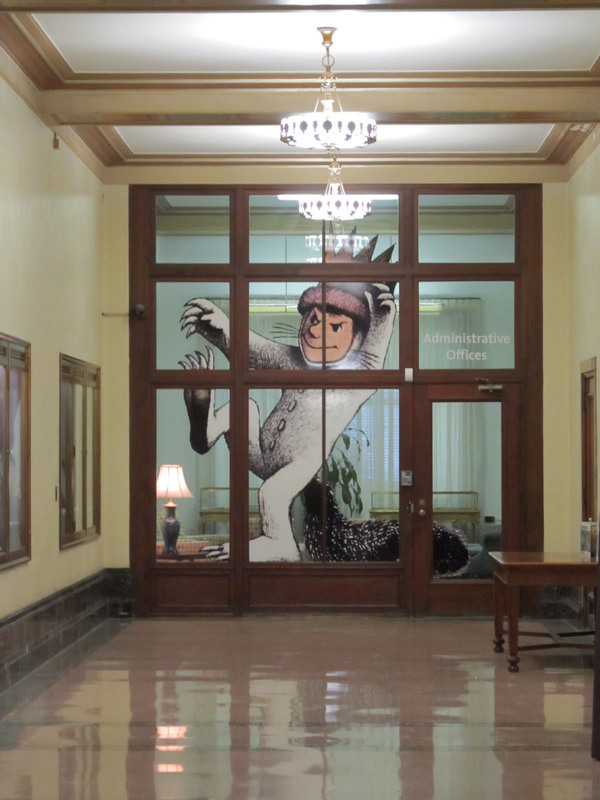 The Maurice Sendak exhibit that was set up in Baltimore’s Pratt Library and then traveled to St. Louis, is now in Toronto. (See past post) Pieces from Jack Young’s amazing installation are now part of the Toronto presentation, located in the TD Ameritrade Reference Library. A post from May 2012, written the day after Maurice Sendak’s death, talks about the prolific illustrator and his relationship with Baltimore. 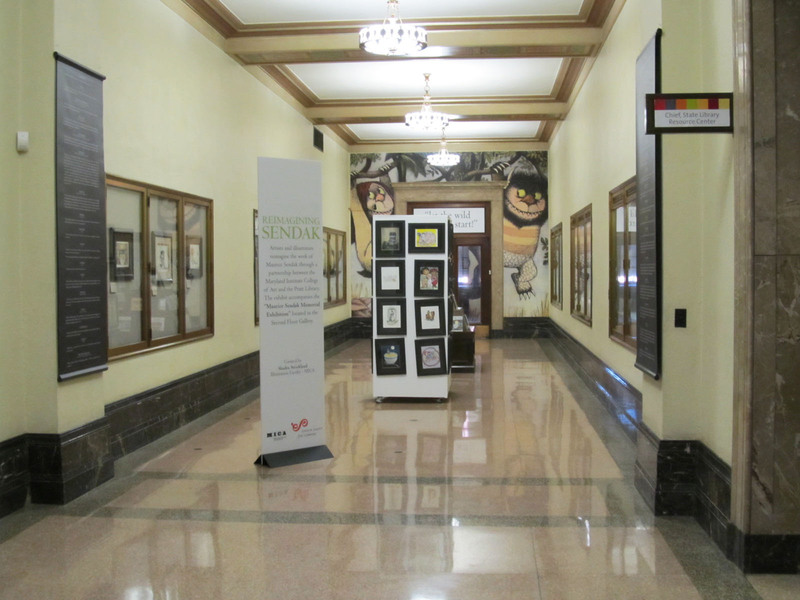 The link between artist and City continues with a spectacular memorial exhibit at the Central Enoch Pratt Free Library that opened on October 18 and continues through January 4, 2015. 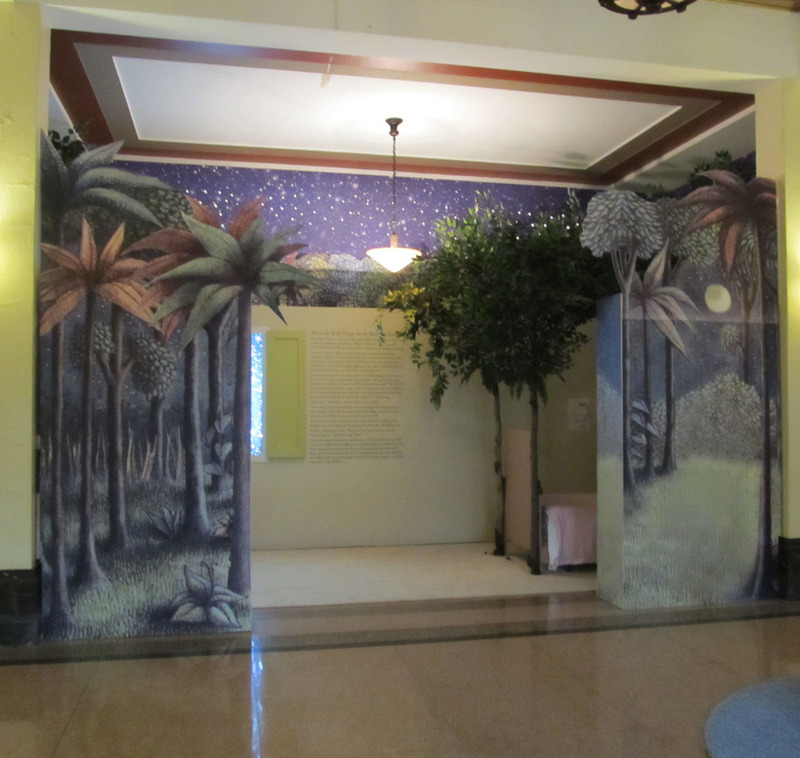 The display is located on the second floor of the handsome Art Deco Library building and includes a recreation of Max’s room. Max is the protagonist in “Where the Wild Things Are,” Sendak’s best known children’s picture book– with almost 20 million copies sold to date. Sendak won the prestigious Caldecott Medal in 1964, the year after the book’s publication, and “Where the Wild Things Are” was so popular with both children and parents that it was made into an animated short, a full-feature film, and an opera! When exiting the elevator visitors see Pratt’s version of the room to the left. A recording of chirping birds provides appropriate background sounds to set the scene, and young readers familiar with the story understand they are about to enter Max’s domain where he was sent to bed without his supper. The moment depicted is Max’s return home from his night time adventure to the island populated by the Wild Things. 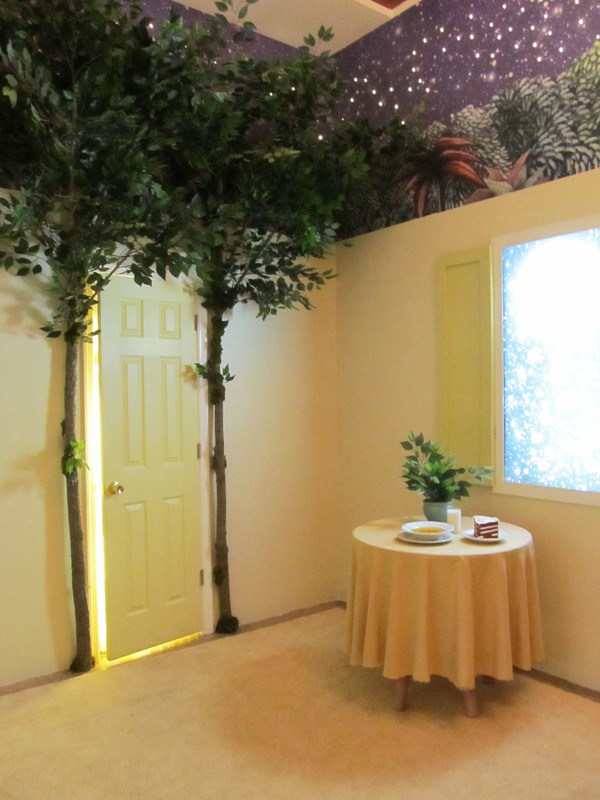 You enter the space through a proscenium arch of leafy trees. There is a doorway inside the room to the left, and when you open it you can see Max swinging in the forest. 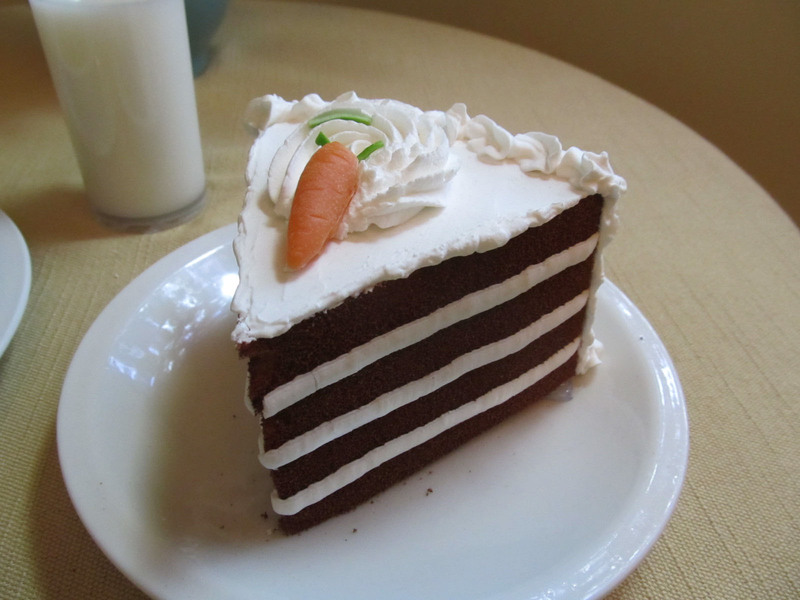 He is about to plop down into his room near a small table, which has chicken soup, milk and a slice of cake set out on its top—the first thing Max sees upon his return. 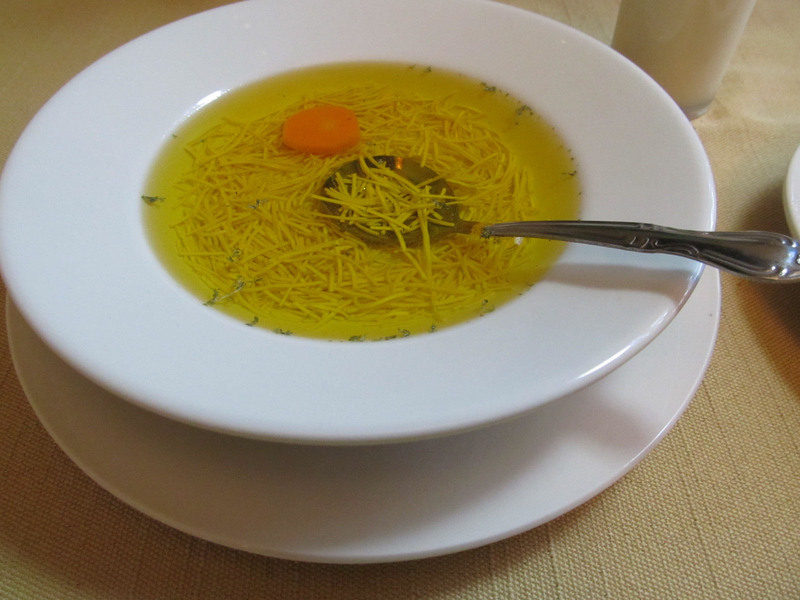 The food is made of polymer resin and appears to be real until visitors reach out and touch the surfaces. 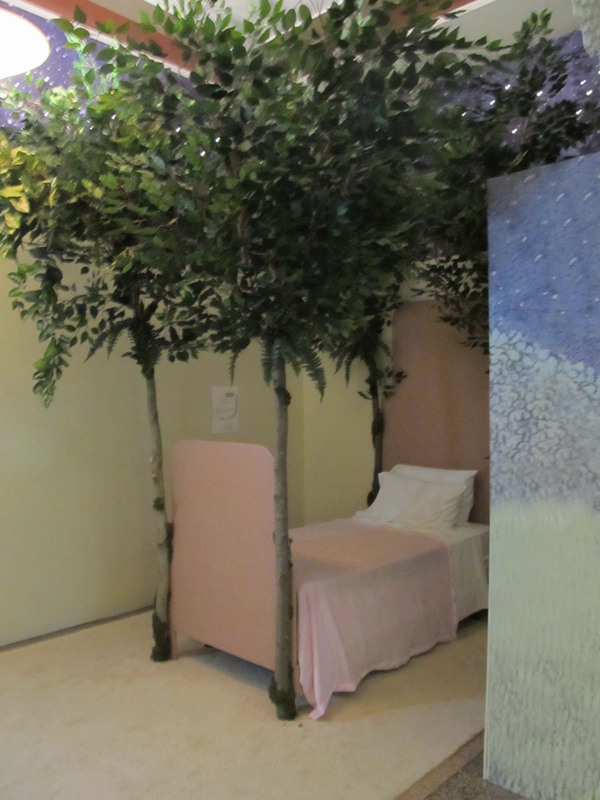 The exhibit designer, Jack Young, also created a full-size bed with tree trunks for posts, which are covered with moss at their bases. The organic bed seems to grow out of the floor and the puffy bedding is so inviting to young visitors that it has been a full time job to keep them from jumping onto the structure. 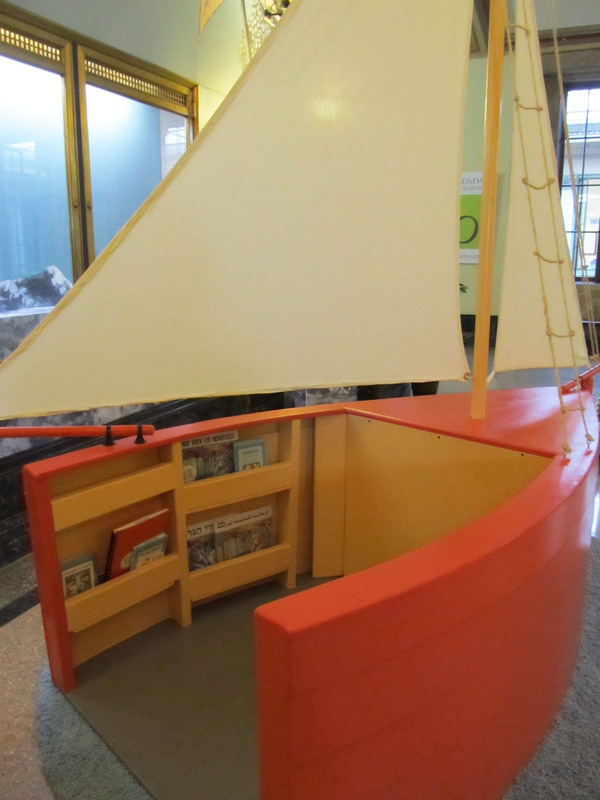 In the space just outside the room Young has positioned a large orange sail boat that functions as a bookshelf, with many Sendak titles balanced on strips of wood attached to the interior of the boat. 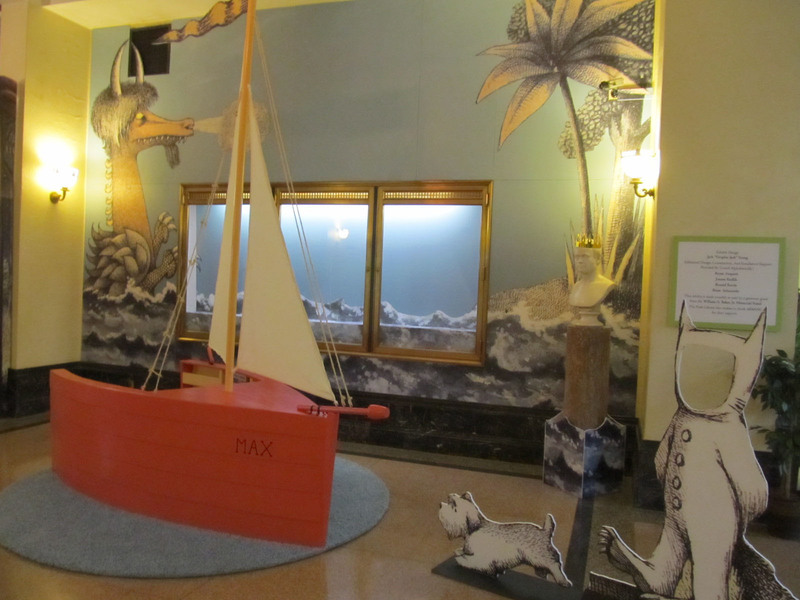 Next to the boat is a flat of Max as the “King of the Wild Things.” The face is cut out so that children can insert their own and thereby become Max for a moment. Down a long hallway, perpendicular to this space, are huge illustrated flats set up in the windows at both ends. 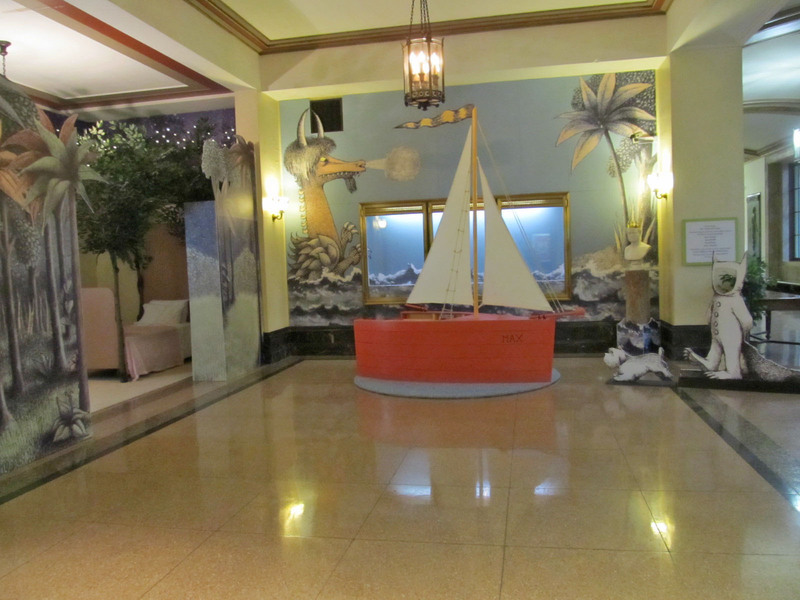 A ten or twelve foot Max, as King of the Wild Things, looks out from the the Administrative Offices reception room. At the opposite end of the hall, behind a secondary exhibit of work by artists inspired by Sendak, are huge constructions of rampaging Wild Things. Jack Young, the head graphic designer at the Pratt, has done a spectacular job with this major undertaking. His ongoing work for the Library is most visible to the public in the over-sized display windows on the front of the building where Library events are advertised with huge, colorful posters. And, the familiar Pratt logos, also designed by Young, are certainly well-known to the populace of Baltimore. If the windows, logos and the many illustrations for in-house publications were your only experiences of Jack’s work, you’d believe that two dimensional design is the artist’s major interest and his forte. However, after visiting the Sendak exhibit I asked myself if Jack Young ever considered stage design. He has certainly proven himself to be more than capable of creating 3-D recollections of imaginary worlds with this theatrical display in honor of Sendak and his charming book. A recent film for Shine Creative’s “Bright” series is a studio interview spotlighting Baltimore’s veteran painter, James Hennessey. The artist reveals some of his strategies for painting while chatting with the film maker in front of several large-scale works, including a close-up view of a painting about Mad Sweeney. 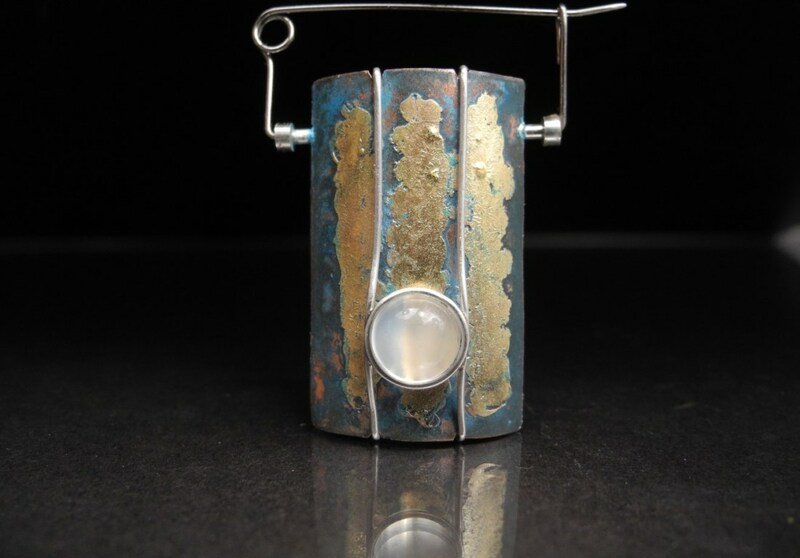 Film maker, Drury Bynum, chose to highlight Hennessey’s working methods, tools, materials, inspiration and subject matter in this intimate view of a contemporary artist in his working environment.